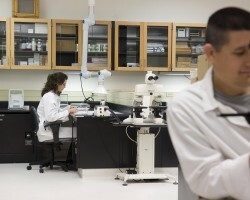 Long-Term Evidence Storage Solutions Keep Evidence Organized and Accessible. Spacesaver’s mobile shelving and mobile racking storage solutions are excellent choices for storing evidence and property. Our mobile storage systems feature movable carriages, which allow our clients to accommodate the same number of items as conventional storage systems in half the space. 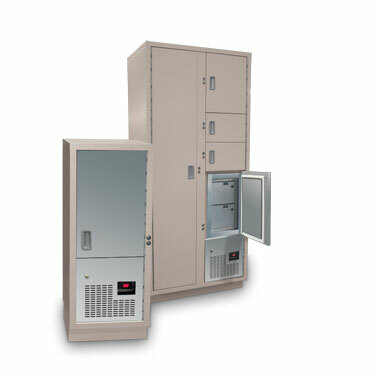 All our mobile systems can be easily configured for anything from computer hard drive storage to auto parts storage to weapons and narcotics storage, and more. 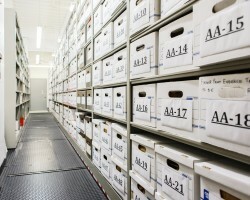 Looking for some evidence storage solutions? Sliding on rails installed in the floor, our high-density mobile storage systems are compact and secure. Electronic control systems enable clients to establish and maintain an audit trail with PIN access, while our mechanical-assist (non-electronic) systems allow users to move thousands of pounds with minimal effort. A variety of safety options are available. 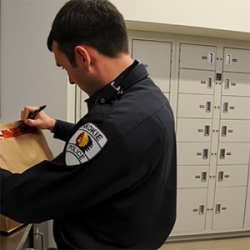 A cost-effective solution for smaller law enforcement agencies, Spacesaver’s LEVPRO offers compact storage at an affordable price. The system consists of rolling shelving units that are suspended on overhead tracks, which are in turn supported by steel uprights. An innovative trolley mechanism allows users to easily move the shelving from side to side. 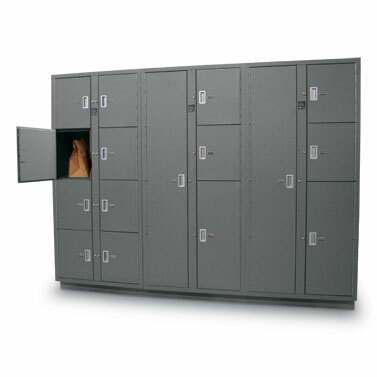 Ideal for large and/or heavy items, ActivRAC maximizes space in evidence warehouses. The system eliminates wasted aisle space by mounting pallet racking on a carriage-and-rail system. 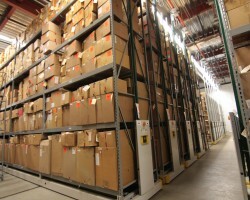 The aisles open at the point of need and are wide enough to allow forklifts to operate. The XTend system, available in stationary (non-moving) or mobile (rail-mounted) applications, makes the most efficient use of vertical space. 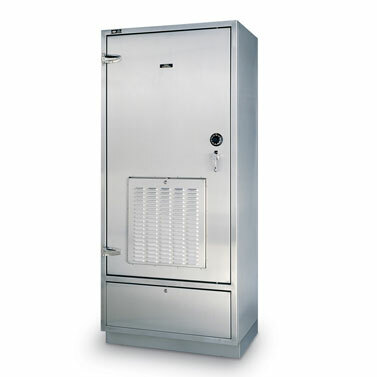 This system is best suited for storing uniform-sized boxes. 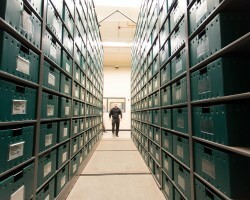 Get in touch with one of our Storage Specialists and get all the information on Long-Term Evidence Storage you need.